In June 2013, Illinois Governor Pat Quinn signed Senate Bill 1715, the Hydraulic Fracturing Regulatory Act and the Illinois Hydraulic Fracturing Tax Act, into law, making Illinois one of the many states to prepare for hydraulic fracturing (“fracking”) in the “shale era.”[i] When passed, legislators hoped the new regulations would help Illinois’ economy by encouraging the oil and gas industry to invest in Illinois. [ii] They also hoped that this act could help create more jobs in the state. [iii]When signing, Governor Quinn stated: “This new law will unlock the potential for thousands of jobs in Southern Illinois and ensure that our environment is protected.”[iv] This blog explores the regulatory changes made by this law and the legacy of the Hydraulic Fracturing Regulatory Act amid the current energy climate. Missing the shale boom means that Illinois will avoid any environmental consequences that come from fracking, however, it also means that Illinois will not benefit from any economic gains that the oil and gas industry may have provided. In fact, Haggerty estimates that Illinois has already lost a $500 million windfall over a 10-year period because of this lack of production. [xxvi] Compared to other states, like Ohio (where fracking started in 2010), it appears that Illinois’ failure to implement regulations in a timely fashion, by signing the law in 2013 and by implementing regulations by November 2014, will be what ultimately prevents the state from reaping any benefit that production would bring. [xxvii] In light of the poor economic situation in Illinois, and the potential benefits of fracking, this situation could become a huge disappointment to the state. -Rachel L. Hampton is a General Member on MJEAL. She can be reached at rlaurenh@umich.edu. [i] Barry G. Rabe and Rachel L. Hampton, The Politics of State Energy Severance Taxes in the Shale Era (2014). APSA 2014 Annual Meeting Paper. Available at SSRN: http://ssrn.com/abstract=2452848. [ii] Julie Wernau, Gov. Quinn sign bill to regulate fracking (June 17, 2013), http://articles.chicagotribune.com/2013-06-17/business/chi-quinn-fracking-bill-20130617_1_fracking-fracturing-our-environment-many-environmental-advocates. [iii] Illinois Government News Network, Governor Quinn Signs Nation’s Strongest Regulations on Hydraulic Fracturing (June 17, 2013), http://www3.illinois.gov/PressReleases/ShowPressRelease.cfm?SubjectID=2&RecNum=11278. [viii] Kraft, Stephan, and Abel, Coming Clean: Information Disclosure and Environmental Performance (2011). For more information about Michael Kraft and his lecture, see: Center for Local, State, and Urban Policy. Dec 2013. 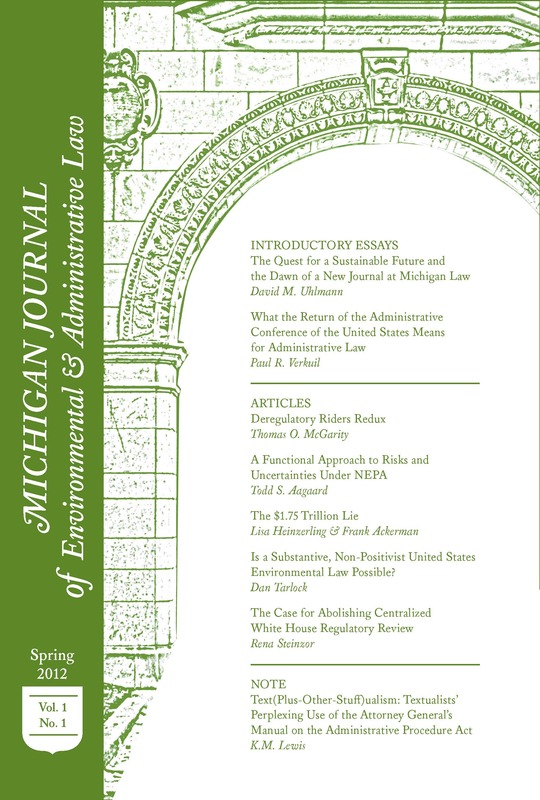 “Using Information Disclosure to Achieve Policy Goals: How Experience with the Toxics Release Inventory Can Inform Action on Shale Gas Fracking.” http:// www.fordschool.umich.edu/events/calendar/1601/. [x] Illinois Government News Network, supra note 3. [xi] McDermott Will & Emery, Illinois‘ Hydraulic Fracturing Tax Act, http://www.mwe.com/Illinois-Hydraulic-Fracturing-Tax-Act-07-25-2013/. (last visited March 22, 2015). [xiv] Barry G. Rabe and Rachel L. Hampton, supra note 1. [xv] Julie Warner, Illinois proposes fracking tax that is lower than in other states (April 19, 2013), http://articles.chicagotribune.com/2013-04-19/news/ct-biz-0331-fracking-state–20130331_1_severance-tax-tax-rate-tax-holiday. [xvi] Barry G. Rabe and Rachel L. Hampton, supra note 1. [xviii] Don Babwin, Illinois Gas Drilling Rules: Governor Pat Quinn Signs New Fracking Regulations Into Law (June 17, 2013), http://www.huffingtonpost.com/2013/06/17/illinois-gas-drilling-rules-fracking_n_3455668.html. [xix] Illinois Government News Network, supra note 3. [xxi] Julie Wernau, Gov. Quinn sign bill to regulate fracking, supra note 2. [xxii] Don Babwin, supra note 13. [xxiii] Julie Wernau, Illinois misses the fracking boom because of falling oil prices (January 24, 2015), http://www.chicagotribune.com/business/ct-fracking-illinois-0125-biz–20150123-story.html#page=1. [xxvii] Seth Whitehead, Illinois and Ohio: A Tale of Fracking in Two States (February 3, 2015), http://energyindepth.org/illinois/illinois-and-ohio-a-tale-of-fracking-in-two-states/.